Start your weekend off right with a free outdoor movie at Discover Sycamore’s “Summer on State” on Thursday, August 18th. 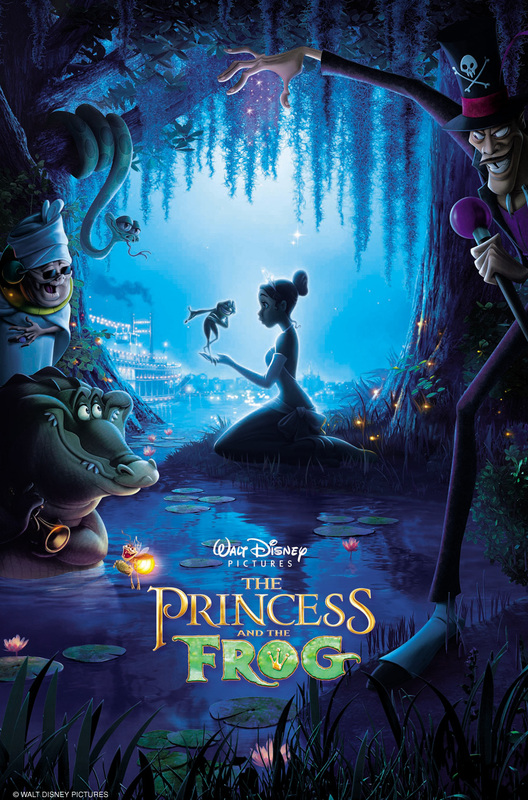 Disney continues its fairy tale legacy in animation by taking movie-goers on a musical adventure with its release of The Princess and the Frog. Gather your family, lawn chairs, and blankets, and join us in the parking lot located on the corner of Somonauk and Elm Streets. This free outdoor movie screening is brought to you by The National Bank and Trust Company. The Princess and the Frog takes place in the legendary birthplace of jazz- New Orleans. This film will introduce the newest Disney princess, Maddy, a young African-American girl living amid the charming elegance of the fabled French Quarter. From the heart of Louisiana’s mystical bayous and the banks of the mighty Mississippi comes an unforgettable tale of love, enchantment and discovery with a soulful singing crocodile, voodoo spells and Cajun charm at every turn. The movie will begin at promptly at dusk, but come out early for extra fun! The National Bank and Trust Company will be present to promote its latest public art and wellness project, Frogs for a Cause: Leaping for Life which was created to encourage family exercise and movement throughout our community. Summer on State is a free night of entertainment, brought to you by Discover Sycamore and The National Bank and Trust Company. Visit www.DiscoverSycamore.com for more information. There’s a certain charm in seeing a movie outside on a beautiful summer night. Invite the whole family to experience a “drive-in movie without the drive”. 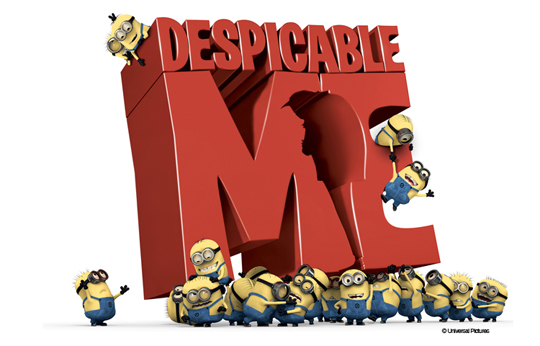 Discover Sycamore’s “Summer on State” will feature the animated comedy, “Despicable Me”, on June 23. This free outdoor movie screening is brought to you by KishHealth System. “Despicable Me” is about an evil genius named Gru, who is trying to earn the title of world’s greatest thief by stealing the moon. While battling his nemesis and super-nerd, Vector, Gru commissions the help of three orphan girls and eventually figures out that their love is the greatest weapon of all. The movie is rated PG and has a run time of 95 minutes. The movie will begin at dusk, but come early for extra fun! The Midwest Museum of Natural History will be bringing along museum “touchables” and live animals for interactive entertainment. Bring along some spare change to purchase cups of food, and Hercules the Tortoise will be sure to bring his appetite. Gather your family, lawn chairs, and blankets, and join us in the parking lot located on the corner of Somonauk and Elm Streets. “Summer on State” is a free night of entertainment, brought to you by Discover Sycamore and KishHealth System. 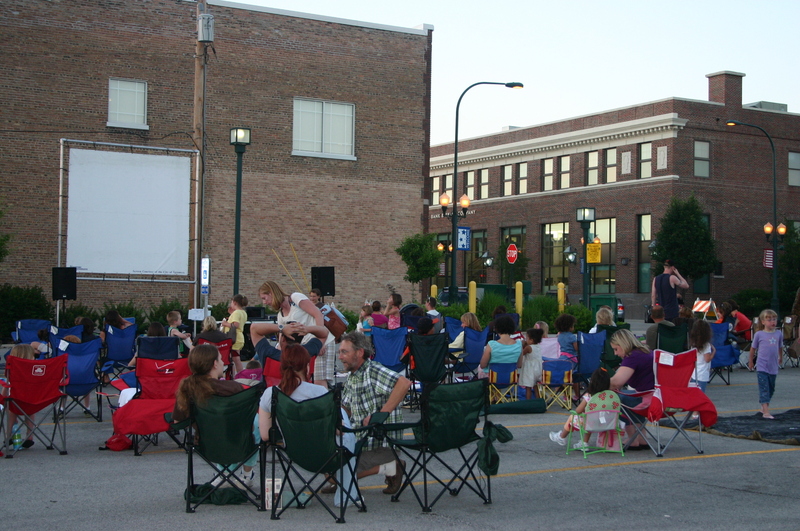 Future “Summer on State” movie viewings include: Shrek Forever After presented by the Sycamore Park District on Friday, July 29th and The Princess and the Frog presented by The National Bank and Trust Company on Thursday, August 18th. Visit www.DiscoverSycamore.com for more information. Summer on State Location change! July Summer on State is This Weekend! Get ready to jump back in time! The Sycamore Turning Back Time Weekend kicks off with a free screening of Back to the Future presented b y the Sycamore Park District! The movie is this Friday July 24th at dusk on the corner of Somonauk and Elm Street. Pizza, popcorn and candy will be available. There will also be REAL DE LOREAN CARS so come early to see the ‘star’ of the film before the movie starts. The movie is rated PG. For Directions please click here and we will see you this Friday July 24th at dusk! Summer on State Pictures added to Flickr! Thursday June 25th called for rain, but when the sun was shining all day we knew that Summer on State would be a success! Many people enjoyed the movie, as well as the snacks! 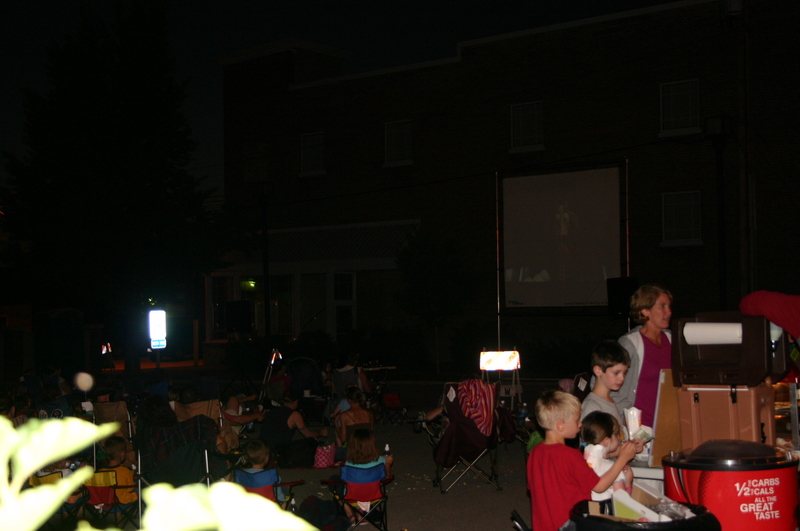 The Sycamore Park District presented a free screening of Madagascar: Escape 2 Africa which was attended by over 200 people! Many families came out to enjoy the free night of fun which also included an obstacle course ran by NIU athletes. Members of the NIU volleyball team also signed autographs! PS the next summer on state is July 24th! Don’t miss out!